Responsibility for the safe operation of club rests with the members. The Policy will ensure, as far as is reasonably practical, those safe conditions are maintained within the compound and on the water. The Policy is intended to minimise the risks associated with activities on the water. Members participate in all activities, which are not club training events at their own risk. It is a fundamental principle of maritime law that the skipper (Cox in rowing) is responsible for the safety of his vessel and its crew. It is the skipper’s responsibility to decide whether to start or continue a race. A Duty of Care requires us to consider that the consequences of our acts or omissions do not give rise to a foreseeable risk of injury to any other person. All members of Portobello Sailing and Kayaking Club owe each other a duty of care. In addition as an organisation Portobello Sailing and Kayaking Club owes a Duty of Care to members of the public we encounter through the pursuit of our activities. It is important that we all understand and accept our responsibilities to operate as safely as possible. 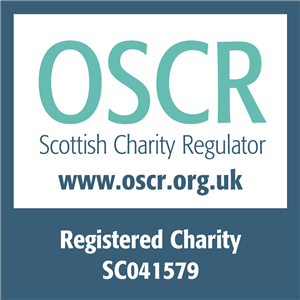 Those members who act in such a way as to deliberately endanger the well- being of others will be in breach of their Duty of Care and may be asked to withdraw from the activities of the organisation. Club members and any visitors should take responsibility for their own safety and property. The responsibility of the club is limited to the provision within our insurance policy. 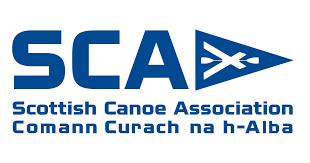 However in circumstances where the club is operating sailing, kayaking and rowing as part of an organised activity (for instance when delivering any activities to local authority schools or employees)The club will be responsible for health and safety subject to the provisions of our insurance policy providing such training or coaching is provided under our auspices by qualified RYA instructors. This will extend to other coaching qualifications, where this is specifically approved by the club and the insurers. The purpose of this policy is to provide members of the Portobello Sailing and Kayaking Club with information required in order to be safe when participating in Sailing and Kayaking and rowing activities. It will also provide information to non members who are participating in activities organised by the club. The club aims to attract a wide range of people in terms of sailing, kayaking and rowing expertise and experience and to provide a sufficient level of coaching/supervision to enable enjoyment and development of individuals. These procedures and adherence to them is to protect and support all levels of the Portobello Sailing and Kayaking Club from litigation. However in the event of deliberate and reckless actions causing injury to another person, negligence is likely to be cited. The regular monitoring and evaluation process that is part of the continually developing safety programme, will continue to help eliminate or manage the foreseeable risks and avoid negligence. Users of club boats must be members of the club. Junior membership shall be open to any individual aged under 18 (eighteen) years. Family membership will be available to adults and children normally resident at the same address. This may include up to two adults. There is no limit on the number of children under 18. Each adult would separately enjoy the rights and entitlements of adult members. All children under 18 are at all times the responsibility of their parent/guardian or designated adult member and that adult must be present (either in the club compound, close by or on the clubs sailing area) whenever the junior member is at the club. However, children over the age of legal capacity (16) will be regarded as responsibile for their own actions. When undertaking training or informal watersports, supervision ratios will correspond to the relevant requirements set out by the governing body of that activity. Members should report any faulty equipment to a committee member. The safety/condition of the compound is reviewed at every committee meeting. All boats using the club compound must have valid third party insurance. All boats left in the compound long term should be tied down securely. Care is to be taken when leaving boats for any length of time (especially if rigged with sails) to ensure they will not move or fall over. If a member finds a boat where this might happen they should alert the owner/user (if possible) before attempting to move it. to take extra care when moving boats rigged with sails and ensure the boat is always pointing as close into wind as is possible. Members maintain and repair boats in the compound. This can lead to sharp objects or chemicals such as adhesive and paint being left on the ground. Members are advised to always wear footwear in the compound. Smoking is not permitted anywhere in the compound or in and around the safety boats. their equipment should inform a committee member. The condition of the boats is reviewed at every committee meeting. The safety boats operate in an area as stipulated by the OOD. This would usually be beyond the buoyed area set out by the council and within the area stipulated for use by boats Anyone leaving this area when rescue cover is in place should inform the rescue crew or OOD and will be regarded as entirely responsible for their own safety (and should also carry a phone or radio). Children over 14 can operate the power boats only whilst under instruction/accompanied by a PB2 qualified skipper. When offering sailing, kayaking and rowing as part of an organised activity to promote the club (for instance when delivering any activities to local authority schools or employees) the safety boats will be driven by people who hold the RYA Level 3 Safety Boat Award and who are over 18 years of age. A kill cord must be worn and used by anybody driving a club safety boat. The club will have a safety boat on the water during each organised sailing event. This boat shall be launched prior to the start of the event. Members choosing to sail ahead of this accept they are sailing without safety cover. However in providing this boat the club does not accept any liability. Members and the OOD should take into account the number of club boats, the conditions, their own level of competence and the fact there may only be one safety boat before deciding whether or not to take part. The safety boat crew is expected to provide cover for those racing and for members sailing within the sailing area. They should wear clothing appropriate for getting in the water. The rescue boat engine should be washed through with fresh water after use and the boat washed on the prom before entering the yard. The tractor should only be driven by those who have undergone an introduction into its use. Drivers must be members and at least 16. It should only be used when manually pulling a boat up or down the beach is not practical. Drivers should go slowly even if this means that additional assistance is required to get through soft sand. They should also be aware of and keep clear of other beach users and those on the prom. When the beach is busy one person should be positioned ahead of the quad to ensure that the route remains clear and that other beach users do not run in front. Special care should also be taken when turning into or out of the slipway and along the prom to ensure the boat being towed does not hit anyone or anything. At busy times a second person should walk alongside the boat being towed. Boats should not be towed with the mainsail up to avoid the boom swinging. Drivers should also ensure that any trolley or trailer is properly secured for towing. Passengers must not be carried at any time as this can cause injury. The tractor must never be left unattended on the beach or in the yard (unless the gate is locked). After use, the tractor must be locked in the shed. Going in to the sea with the tractor must be avoided. If the tractor goes in the sea the driver is responsible if it gets stuck. When retrieving a boat that can not be reached without putting the tractor in the water a tow line should be attached to the boat and the tractor in order to pull the boat out enough so that it can be hitched on the tow ball of the tractor. After use: Whether the tractor has been in the sea or not the tractor must be thoroughly washed down after every outing with the fresh water from the hose in the yard. Care must be taken when towing boats along the Promenade as this can be very busy at times. Be aware of members of the public, children and animals . Be patient and courteous on the beach as well. If possible try to have someone walk behind or beside boats to ensure safe passage when leaving or returning to the compound. Guests are the responsibility of the members who invited them to the club. Those members should be present whenever their guest is in the club. Members who bring guests to the club should remember that a sailing club can be a dangerous place for the inexperienced and should supervise their guest accordingly. Members are free to use club facilities and the water at any time. However they should remember that safety cover is only available at organised club events and therefore they are sailing entirely at their own risk. Club boats (with the exception of the club-owned skiffs) should only be used when rescue boat is deployed. In circumstances where the club is operating sailing, kayaking and rowing as part of an organised activity to promote the club (for instance when delivering any activities to local authority schools or employees) a rescue boat will be in operation. For responsibilities of sailors for their safety when a rescue boat is on the water …See also the ‘Rescue Boat Officer for training and non training days’ document included at the end of the sailing section. It is recommended for all activities that an appropriate standard of clothing is worn by all participants considering weather conditions, water temperature etc. During the months from October to March (inclusive) sailors and kayakers are advised to wear a drysuit or 6mm full wetsuit. Rowers are less likely to end up in the water but should still allow for the conditions and dress appropriately for their sport. It is strongly advised that rowers stay as close to shore as possible during this period. Members should make their own assessments of risk taking into account factors such as weather, tides, skill, experience, equipment etc. Life jackets or buoyancy aids (Appropriate CE approved, e.g. min. 150N lifejackets or 50N buoyancy aids) must be worn by all those on the water. In circumstances where the club is operating sailing, kayaking and rowing as part of an organised activity to promote the club (for instance when delivering any activities to local authority schools or employees) the participants will all be provided with the appropriate clothing, life jacket or buoyancy aid. Where these involve children, the lead instructor will be regarded as the responsible adult. conditions to change or consider using alternative landing areas at Portobello. landing of boats and often do it is not their responsibility and they do not have to. The Club expects members taking part in an activity to help one another launch and land. All sailors’ boats must have valid third party insurance. It is the OODs decision to hold a race or cancel a race due to weather/sea conditions. The safety boat(s) will be launched and on the water prior to the start time of the race. It remains on the water throughout the races. The OOD must cancel a race at any time they feel they cannot provide safety cover. Club members must respect the OODs decision. The OOD can refuse entry in a race to anyone they feel is a danger to other sailors. The OOD can refuse entry in a race to any boat they feel is un -seaworthy or inadequately equipped for the conditions. The OOD can refuse entry in a race to anyone they feel they cannot provide safety cover for. At least 2 of the OOD’s should be dressed ready to go out on the water at all times. The club runs a number of training sessions and events for members and junior members throughout the season. During sail training a senior instructor should be on-site and have oversight. The club will have one safety boat on the water, crewed and in action for every 6 sailing boats (best practice defined by RYA). If more members wish to sail than the club can provide safety cover for the members will have to take turns on the water. No members can sail unless a safety boat is on the water. The ratios of instructor to sailors will be 1 to 6. The ratios of kayakers to instructors will be 1 instructor to 6 kayakers or canoeists. Instructors will have a coastal endorsement. The above also applies for events at locations away from the club. From time to time the club will organise special events, for example RYA training days. Some of these events will not be covered by this safety policy or will be run under different policies. If this is the case members will be informed of the different policies/risks either before the event in written notices or during the immediate pre-event briefing. It is the parent or guardian’s responsibility to decide whether a child should participate in club activities. The OOD can refuse to allow any child to compete in a race/activity if they feel the conditions are hazardous or they cannot provide adequate safety cover. In allowing a child to compete in a race/activity the OOD and club do not take any responsibility or liability for that child. It is the designated adult’s responsibility to ensure a child can launch and land safely. The club would expect a child under 12 years old to be closely supervised by a designated adult. A child under ten should not be left alone on the club premises whilst their designated adult goes sailing and if a child under ten is sailing then their designated adult should either be on the boat with them, on another boat nearby or on the shore monitoring their progress. Designated adults of children over 12 years old should not assume they do not require the same level of supervision and must decide what supervision is appropriate based on the child’s experience health and the weather conditions. Club instructors may be able to advise on a child’s sailing ability but the responsibility for deciding on the level of supervision rests solely with the parent or guardian. A parent or guardian is present (in the club compound, close by or in the club sailing area) throughout. The club issues a Consent Form covering the child during the activity to ensure that the instructors are informed of any relevant medical conditions and other details. The extra supervision requirements of the club for a child under 12 do not apply whilst a child is actively involved in a club training session (This allows designated adults to go sailing whilst their children are in training). However if for any reason a child stops being involved in a training session the designated adult should apply the rules for events other than training. All children swimming shall be supervised by a designated adult who is either swimming with them or watching on the shore. parental supervision is not available. In circumstances where the club is operating sailing, kayaking and rowing as part of an organised activity to promote the club (for instance when delivering any activities to local authority schools or employees) it may be necessary to change the venue of the activities depending on the weather and sea conditions on the day. The decision to do this will be taken by the instructors involved. The club has a selection of sailing boats and kayaks for members to use during club racing/training for racing or sailing within the sailing area. Have the OOD’s permission to use a boat. Checked the boat for faults or had the boat checked by another member and agree it is in a suitable condition for sailing. Club boats are not available to use if the wind strength is more than force 4 without the specific consent of an officer of the club. Any member who finds a fault with these boats or their equipment should inform a committee member. The adult members pay £3 for the use of a boat and juniors £1. This will normally be collected by the beach Master on Sunday sailing. The committee appoints a member to oversee maintenance of these boats. The club undertakes to provide members with safe seaworthy boats but accepts no other responsibility for members who use boats. At the start of the season all rescue drivers will be briefed on responsibilities and any issues with kit and have a chance to ask questions. All rescue officers are expected to read the Standard Operating Procedures (SOP) as they relate to rescue duty. All rescue officers will be given a brief list outlining their main priorities. Before the day, check the weather forecast (windguru is a good web site to use). Make a note of the wind direction and strength and any predicted changes, write this information on the sign in and out board. On the day of the rescue cover, check the sea state to make sure you can launch the boat safely. Check all the equipment in the boat is working and that it is fully kitted out (see the section on what the rescue boat should contain). The Rigi Flex/ small RIB and engine should be in working order. The priority for the rescue officer is to make sure all the sailors are safe, and secondly to look after the boats and equipment. If the wind is gusting more than 25mph the rescue provision will be cancelled. If the wind is less than 25 mph but the sea state and other factors (e.g. experience of the sailors) is such that the rescue officer considers it inappropriate to sail that day the rescue provision will be cancelled. The Rescue Officer and Beach master need to be made aware of the intensions of sailors who are taking their own boat out and do not wish to be included in boats to be rescued e.g. if they are making a trip to Inchkeith or Fife. It is essential that the boat carries enough fuel to cope with any emergency. The driver must use the kill cord at all times when under way. The fuel tanks and spares are filled up at the beginning of each month by the Rescue Officer on duty on that day (this should last a month). However check the fuel before leaving and buy some if necessary. The diesel for the tractor will also be filled at the start of each month. However check this also. That sailors have all signed in at the beginning of their time on the water and sign out again when they are off the water. Signing in is to include the boat, the number of people on it and their names and a telephone number (see below). There is a white board and marker pen in the shed for this, otherwise use a pen and paper. They also let the rescue driver know if any late arrivals are coming on to the water. The Beach master will record all this information in the ‘Rescue Book’ (located on the shelf in the shed). When people are sailing they also appraise any changing conditions and keep in contact with the rescue officer. If the conditions dictate that there needs to be a general recall of all sailors the Beach Master will raise a red flag on the flag pole and sound a fog horn. The number of rescue boats at an event depends on the level, age, ability and number of sailors/ competitors, anticipated conditions, etc. There is no recommended ratio as there are too many variables to consider – so it’s a matter of common sense and judgement. A minimum of two adults aboard. The crew must be competent and ready to enter the water to help rescue if necessary and to be dressed appropriately for that responsibility (at least a wet suit). Before leaving the yard make sure all the sailors and crew have been signed in. Also ascertain their level of experience. On windy days and with less experienced sailors the Rescue Officer can tell sailors they should not be going out. The rescue officer has final say when on the water and all sailors do as they say (this is because the rescue officer is the only one assessing the whole situation and individual sailors might not appreciate all that is going on). Make it clear to the sailors the boundaries that you are going to operate in. If they go out of the boundaries they are risking the effective rescue of others on the water as well as themselves. If a sailor wants to be rescued they should sit on top of their up tuned boat and wait for assistance. The engine needs to be washed through with fresh water and the RIB washed down. This needs to be done on the prom (not in the yard). This is to avoid the soil in the yard being washed away. The coastguard may then ask you to standby on a working channel, e.g. 67, or they may continue to converse on Ch 16. If you do not have a radio ring them 01224 597900. Then switch the radio to dual watch on channel M2 (P4 on the hand helds) and 16. Channel M2 is the marina channel we will use (do this by pressing and holding the bottom left button). If it is being used switch to channel M. On the RIB the M channels appear after all the numerical channels. Make sure you can hear the radio at all times when on the water. Let the coast guard know when you are back in. There should be 4 radios needed. Two with the rescue boat one with the race officer and one with the shore based person. Once the boats are on the water it is important to keep assessing the situation. This includes monitoring the weather, sea state and abilities of the sailors. You assist sailors when they are not able to sort an issue out themselves. If a boat needs to be rescued, first assess the situation and make sure you are safe. If people are in the water approach slowly and stop the engine if possible (this reassures people in the water that they are not going to be hit with the prop). Approach from downwind. If a boat needs to be abandoned tie on some maker tape (to let others know who may come across the boat that the crew are safe and the boat has been abandoned) and radio the coast guard to tell them it has been abandoned. Return the sailors to shore. After the rescue duty has finished make sure all sailors are accounted for and radio the coast guard to let them know you are off the water. On race days as well as signing in the race officer will also need to make a note of the timings. Use the form below. Children are the responsibility of their parent, guardian or a supervising adult during these activities. It is recommended for all activities that an appropriate standard of clothing is worn by all participants considering weather conditions, water temperature etc. During the months from October to March (inclusive) sailors and kayakers are advised to wear a drysuit or 6mm full wetsuit . Rowers are less likely to end up in the water but should still allow for the conditions and dress appropriately for their sport. It is strongly advised that rowers stay as close to shore as possible during this period. It is the responsibility of individual members to make their own assessments of risk taking into account factors such as weather, tides, skill, experience, equipment etc. In circumstances where the club is operating sailing, kayaking and rowing as part of an organised activity to promote the club (for instance when delivering any activities to local authority schools or employees) the participants will all be provided with the appropriate clothing, life jacket or buoyancy aid. The ratio of instructors to kayakers will be 1 instructor to 6 kayakers. At least one instructor will be a BCU Qualified Kayak instructor at each event. If more members wish to canoe than the club can provide safety cover for the members will have to take turns on the water. The instructors can stop any member canoeing at any time. The instructors will decide which member will canoe in which boat. A qualified First Aider will be present at each training event. For any training events taking place from Portobello beach the instructors will hold a BCU level 3. In the event that an inland area of sheltered water is used the instructors will hold a BCU level 2. In circumstances where the club is operating sailing, kayaking and rowing as part of an organised activity to promote the club (for instance when delivering any activities to local authority schools or employees) all instructors will hold the necessary national governing body award. The ratios of kayakers to instructors will be 1 instructor to 6 kayakers or canoeists. Members participate in all activities, which are not club training events at their own risk. It is the responsibility of the cox to decide whether to go out and to make appropriate judgements based on the conditions. The coxes can stop any member rowing at any time. The coxes will decide who sits where in the boat. Children are the responsibility of their parent or guardian during these activities. It is the responsibility of individual members to make their own assessments of risk when deciding whether to take part. taking into account factors such as weather, tides, skill, experience, equipment etc. In circumstances where the club is operating sailing, kayaking and rowing as part of an organised activity to promote the club (for instance when delivering any activities to local authority schools or employees) the participants will all be provided with the appropriate clothing, life jacket or buoyancy aid. In these circumstances a qualified rowing instructor will be in each skiff with the participants. The club runs a number of training sessions and events for members throughout the season. Club members who will be referred to as coxes in this document run these sessions. These coxes are volunteers. The coxes in each boat will be experienced in rowing and steering the skiff to a level that the club has approved of. 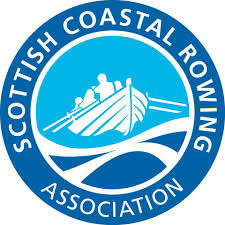 In circumstances where the club is operating rowing as part of an organised activity to promote the club (for instance when delivering any activities to local authority schools or employees) all instructors will hold the necessary national governing body award. The club recognises its duty of care to those employed as instructors, whether paid or as work experience, subject to the provisions of its employer’s liability insurance. It is your responsibility to make known any potential medical conditions that may affect the Junior Sailor during the activities associated with the programme they will be taking part in. Please therefore provide as many details as possible in the box below. This information will be shared with the organisers at events and training. Are they suffering or recovering from any injuries which may affect their sailing? I the parent/guardian of …………………………………………………….. give permission for him/ her to take part in the sailing course. In an emergency situation I authorise the organisers to take my son/daughter to hospital and give my full permission for any treatment required to be carried out in accordance with the hospital’s diagnosis. I understand that I shall be notified, as soon as possible, of the hospital visit and any treatment given by the hospital.